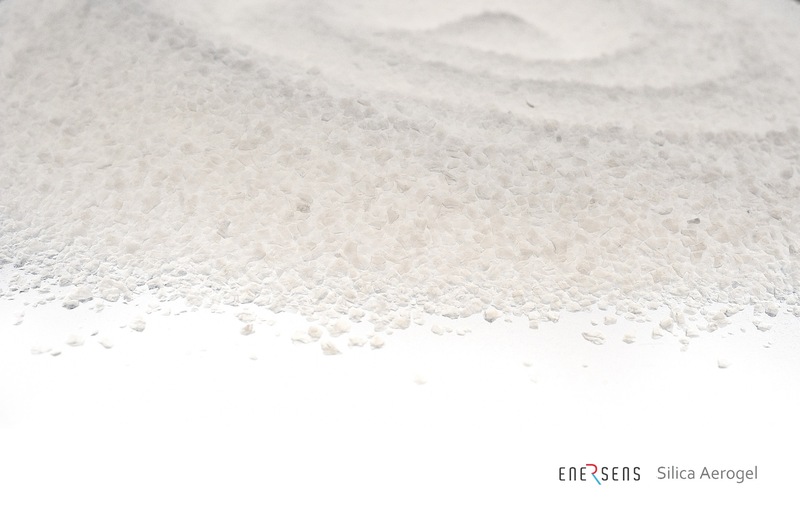 Kwark® is a high performance silica aerogel material developed and made by ENERSENS according to a patented process. It is an exceptional material resulting from many years of research and is the best thermal insulation material. Comprised of a very light amorphous silica structure, it contains more than 95% captured air in nanometre-sized pores. This air-filled structure gives it the lowest thermal conductivity “λ” known to date. This technology is ideal for those seeking thermal performance and high-value-added products. Kwark®’s exceptional properties enable it to be used for building and industrial applications. Kwark® product is commercialized as granulates and as powders. Customers who need a particular particle size for their application can also easily calibrate the beads by crushing them during their process.